Hainrihi's Discoveries: Goodbye 2012, Hello 2013! I know, I know---this is a bit late post. But what the heck, this is my way of keeping track what I missed in 2012 and what I should be doing in 2013. I hope to keep this entry short but meaningful and will go straight to the point. Blogging. I have to admit, I was a total failure when it came to blogging because I seldom updated Hainrihi’s Discoveries. I even had more entries in 2010 than this year and it was because I was either lazy, disorganized or had a writer’s block and didn’t know what to write at all. But despite that, my blog slowly had progress in many ways. I am already part of Filipino Bloggers Worldwide and have joined some of their FB activities that helped in making my blog more active (plus have the badge here). I am also a member of the Blogspot Directory and placed a badge here in my blog too. I also improved in the layout even for just a little and followed worthy blogs that will help me in making my life better. Also gained followers through my various blog affiliates. And lastly, I was able to get tips and advices on being a blogger and hope to apply them in 2013. It’s not much, but at least I am able to slowly improve Hainrihi’s Discoveries and I hope it will do good this year. Being an Otaku. This is one of the things I am proud to say I have improved in 2012. 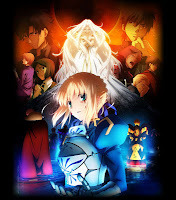 For one thing, I was able to watch great animes such as Fate/Stay Night, Fate/Zero, Tiger and Bunny, and Toaru Majutsu no Index. I also re-watched new animes because of shoots for reference and it was fun re-living childhood memories. 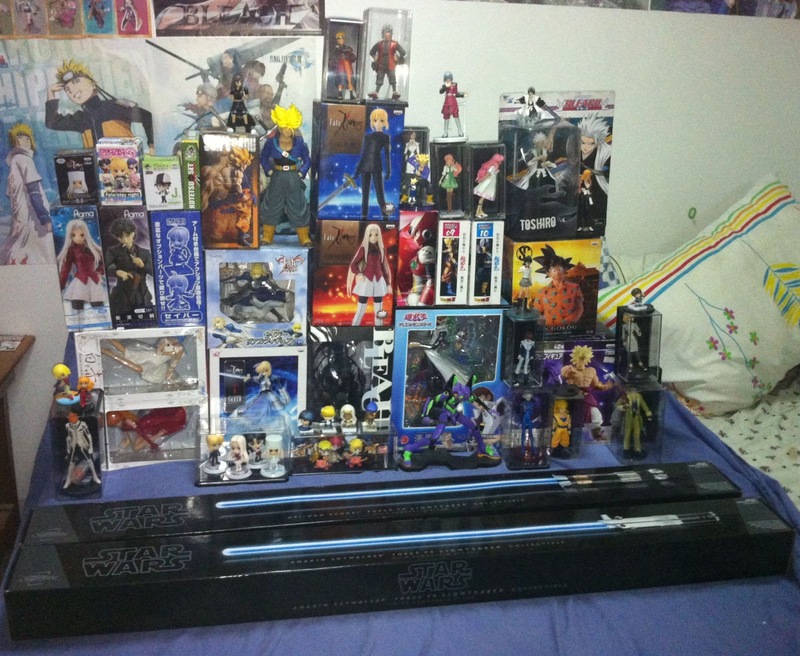 Plus, I was able to collect more animes, thanks to my fellow anime friends. In connection with this, 2012 was officially the start of Marc and I’s figure collecting as we brought various figures from conventions and trusted online stores. We mostly collected figures from old school animes but there were new ones such as the Fate series and Bleach and we are sure to continue collecting more this 2013. Being a Cosplayer. Another one of my highlights of 2012. It was indeed a good year for me and my boyfriend in terms of cosplaying. We had various photoshoots, cosplayed our favorite characters in anime and cosplay conventions, and met more great friends who truly appreciate and share the same passion. We had many firsts and saw some improvements in our cosplays. I learned about make-ups, wig styling, picking out the right cloths for the costumes, met a great seamstress and learned a few about props making. We had more bondings with cosplay friends and also experienced ups and downs---yet we still remained friends and learned from those mistakes. 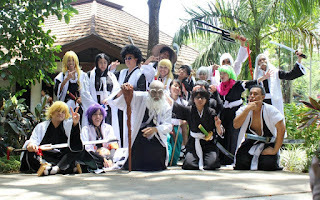 Indeed it was a great 2012 in cosplay and we are looking forward for more cosplans in 2013. Work. Well, what I can say? Work is something that has been a bit difficult in 2012 and I would say that was my fault. I’m already a full time home-based web content writer that works for a US client on a graveyard shift---which means I am mostly at home working and sleeping at daytime. While this is more convenient for me in terms of food, comfort and transportation, it was hard for me to concentrate because of various temptations. Temptations such as sleep, laziness, social networking sites and the like are just around the corner and I get distracted easily---which is my biggest weakness in life. There were times when I became less productive and my work was in danger. I was glad I realized what could happen and tried my best to get back on track and improve on my work. I slowly improved and made sure I finish things on time. While there are still delays and mishaps, I will try my best for 2013 to be more productive at work. Health. I have to admit I didn’t look after my health that much. I sometimes skip meals or have just less than 3 hours of sleep and thus I get sick. While they are not as many as before, I know I really have to look after my health in the future. I plan to look after my health this 2013 and make sure that I won’t be as sickly as last year. Relationships. When it comes to family, we have been through difficult and testing times that left me irritated or frustrated---but somehow you really can’t help but just let it be because they are your family. When it comes to my other half, we have been through testing and difficult times but we are still going strong. I have goaled myself that we reach 7 years and now we did---and now I am targeting for many more 7 years to come :D And of course, I met new friends and reunited with old friends that I truly cherish a lot I couldn’t ask for anything more and am hoping that we will get closer in 2013. Money. Okay I am laughing out loud now because this is my worst trait last 2012. I was so bad at saving last year that there were times when I don’t have money until the next payday. It taught me a lesson and I am hoping to improve on that this 2013 where I really want to save for the future without sacrificing the things I want to have. I believe that can happen when I wait patiently and spend my money wisely. 2013 is something to look forward to because this is the time that I want to prove that and what you want should not be sacrificed. Organizing Life. Another one of my worst trait last 2013 because everything was so disorganized (and is also the reason why I don’t blog a lot). I couldn’t put things in order because I was adjusting to a new lifestyle that was very new to me. Now that I have adjusted and have my main tools (notebook, laptop and 2013 Starbucks Planner), hopefully I can make 2013 organized.